Everything from commute, cargo, trailer to full fledged tours and eBikes. Scroll down for even more! Our partner providers, click on logos to be transferred to their websites. Provide a high level of road bicycles to hire. Our minimum road bike specification is aluminum frame, carbon fork, Shimano 105 drivetrain. Some bikes may have disc brakes, some have caliper brakes. Please see full selection of our bikes for more detailed information. Roadbikehire’s bikes are selected to be comfortable and have gearing that is easy to ride on hills. Maybe you are planning an expedition? Do you fancy cycling part or all of the Wild Atlantic Way or any of the Greenways in Ireland? 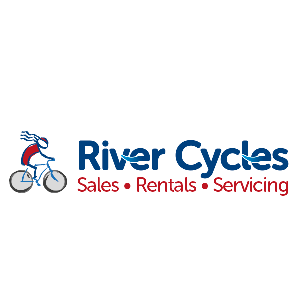 We have the bikes and all the equipment you'll need. When you rent with Detours you can rest assured that you will have the best equipment to take you on your journey. We use state of the art Staiger Sinus electric bikes, high-quality locks, great gear and insurance for peace of mind. This ensures you can sit back and enjoy your travel.